EWEA 2013 Annual Event is Europe’s premier wind energy industrial event comprising an extensive exhibition and comprehensive conference. The event is held every year and attracts over 10,000 attendees. 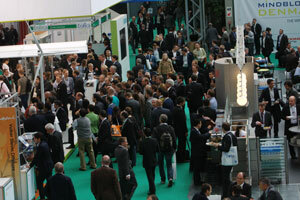 Capitalising on real opportunities will be the main focus at EWEA 2013. So, whatever your goals are for 2013: from new insights on regulatory issues, access to capital, partnering opportunities with innovative technologies and products, or making connections with key industry leaders – you can do it all at EWEA 2013. Taking place in the central location of Vienna, boasting a maximum flying time of less than three hours from any European city and ideally situated between the east and west, this event will bring together Europe’s mature and emerging wind energy markets; such a gathering provides exciting collaborative opportunities for business growth and jobs.